Nifty opened weak but tried to move up in the initial hours of trade but was sold off to lows of the day around 5680, and closed just above at 5694.40, still a huge loss of 51.55 points. In the last 3 days the index has lost a huge 178 points. The broader market was worse, with just 272 advances to 1240 declines. Needless to say that the Bears are in full control of Option Table, but new shorts should be careful. 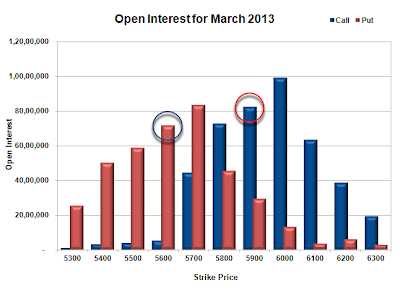 Call option 5600-5900 added 34.07 lacs huge amount of OI with profit booking seen at 6000 and above strike prices. 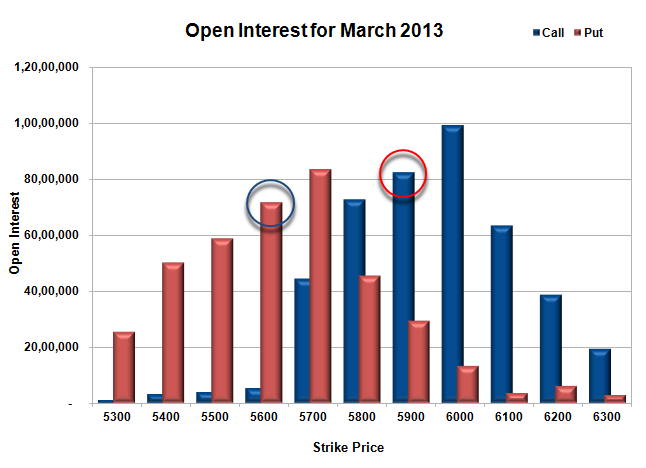 Put Option 5600-5400 added 9.59 lacs huge amount of OI with short covering seen at 5800 and above strike prices. Highest accumulation on Call option 6000 at 99.43 lacs & 5900 at 82.28 lacs whereas Put option 5700 at 83.58 lacs & 5800 at 71.80 lacs. Nifty Open Interest is at 1,50,68,500 down by 9,35,850, with decrease in price, mostly probably huge long liquidation. 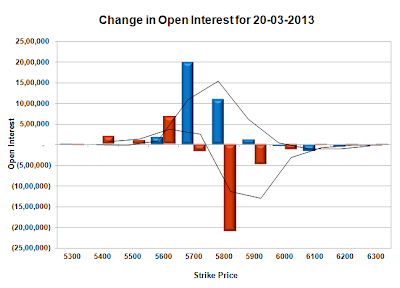 Bank Nifty Open Interest is at 16,47,975, up by 36,725, with decrease in price, most probably huge short build-up. FII’s sold 6.33 lacs of Futures, most probably long liquidation, as their net OI decreased by 7264 contracts and the average price per contract comes to around 5709. FII’s future open contract as on date is 369056. PCR Open Interest (Volume) is moving down fast and now at 0.886. 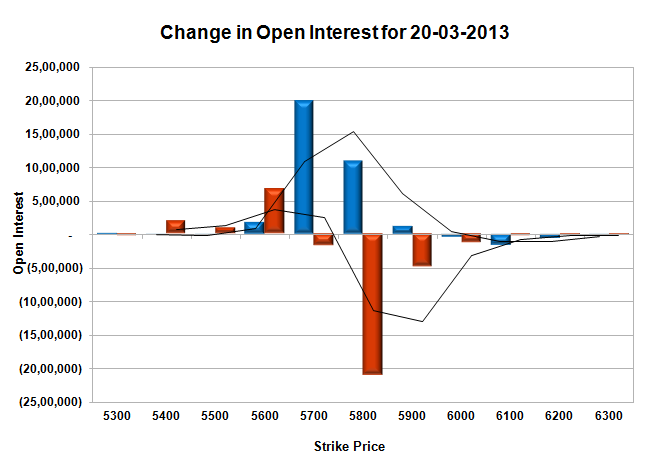 Support still at 5700, but getting weaker by the day, below that at 5600 with OI of 71.8 lacs. Strong resistance right now at 5800CE, with huge addition for the day at 10.96 lacs and OI now in excess of 72.7 lacs, and above that at 5900 with OI above 82.28 lacs. Range as per Option Table is 5653 - 5755 and as per VIX is 5645 - 5744 with 5720 as the Pivot.